Collen was named the 2018 WNBA Coach of the Year in her first season leading the Dream. She helped Atlanta to a franchise record 23 wins and the No. 2 seed in the 2018 WNBA Playoffs. Her team matched a franchise-best 13 home wins and won a record 10 games on the road. 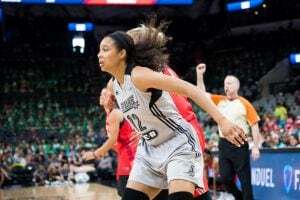 The team ultimately fell in Game 5 of the WNBA Semifinals, playing without 2018 All-Star Angel McCoughtry and forward Damiris Dantas due to injuries. Atlanta was the only team in 2018 to beat eventual WNBA Champions Seattle twice during the regular season. Under Collen’s tutelage, guard Tiffany Hayes was named to the All-WNBA First Team and All-Defensive Second Team, while forward Jessica Breland earned All-Defensive First Team honors. The 2018 Dream team achieved numerous milestones along the way, including scoring a franchise-best 109 points against Las Vegas on August 7, 2018. The team won a team record eight straight games from July 8-July 24 and finished the regular season winners of 15 of its final 17 games. The 2018 squad showed a knack for winning close games, finishing 11-0 in games decided by six points or less in the regular season and was 17-0 in games they led entering the fourth quarter. 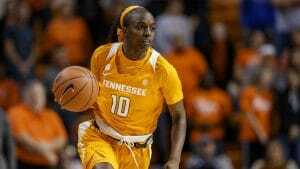 Prior to coaching a game, Collen made an immediate impact by signing two-time WNBA Champion Renee Montgomery and former All-Star Breland as free agents. She also brought back McCoughtry, who sat out the 2017 WNBA season. Collen has also been able to lock up the Dream core by signing 2017 WNBA All-Star Elizabeth Williams and Hayes to contract extensions. Midway through the season, the Dream traded for guard Alex Bentley, who went out to be a key contributor to the team’s second-half success.